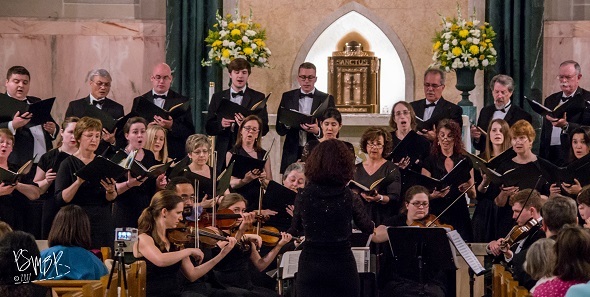 through the art of sacred choral music. Adorno Fathers' African Mission - online donation. Seeking grace through worship and song. With collaborator and guest conductor Dr. Mark A. Boyle. A freewill offering will benefit the Adorno Fathers' African Mission. 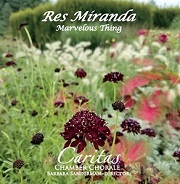 Caritas Chamber Chorale's 2018 CD recording entitled Res Miranda - Marvelous Thing. 2018 Res Miranda is available both as a CD and in Digital Download format. 2009 Stop Your Doubting, Caritas' first CD recording, is also available. All proceeds benefit the Adorno Fathers' African Mission. Our June 2017 performance of Schubert's Mass in G from Ancient Prayers for Our Time is available for download! 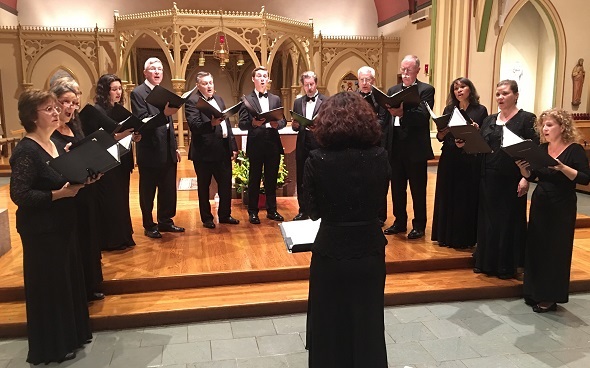 To find out about singing with Caritas this season see the Audition Information. Now you can support the African Mission with an online donation. 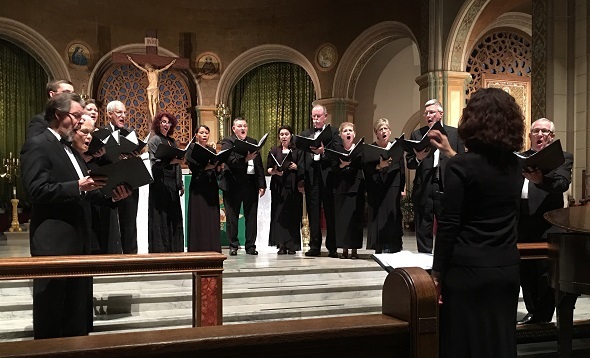 Or find out how to become a member of Caritas Chamber Chorale's Et Amor Partnership, supporting sacred art with a mission. A Song Full of Hope, with MISH, March 4, 2018 at Pingry School, Basking Ridge. 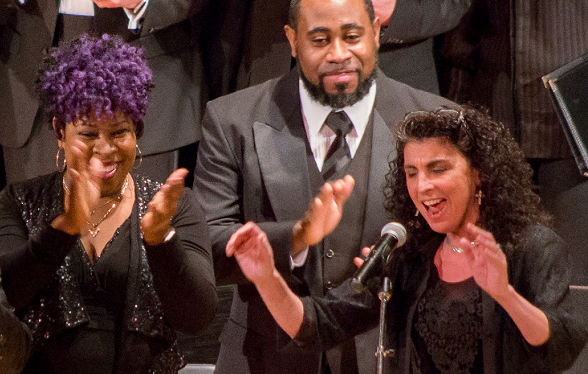 Loretta Fois improvises with Gospel singers. Photo courtesy of Marilyn Parente. 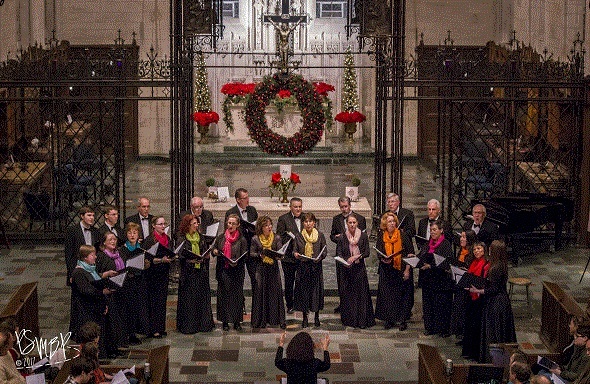 Sing, O My Love at Princeton Abbey, Dec. 16, 2017. Photo courtesy of Marilyn Parente. Ancient Prayers for Our Time at St. Francis Cathedral, Metuchen, June 2017. Will There Really Be a Morning? Finding Hope at St. Bernard, Bridgewater, June 2016. Journey On! at Mission Dolores, San Francisco, November 2015. Journey On! at St. Luke Church, Whitestone,NY, November 2015. Take Up the Journey at St. Catharine Church, Spring Lake,NJ, June 2015. Behold a Virgin Bearing Him at St. Joseph Church, High Bridge, December 2014.